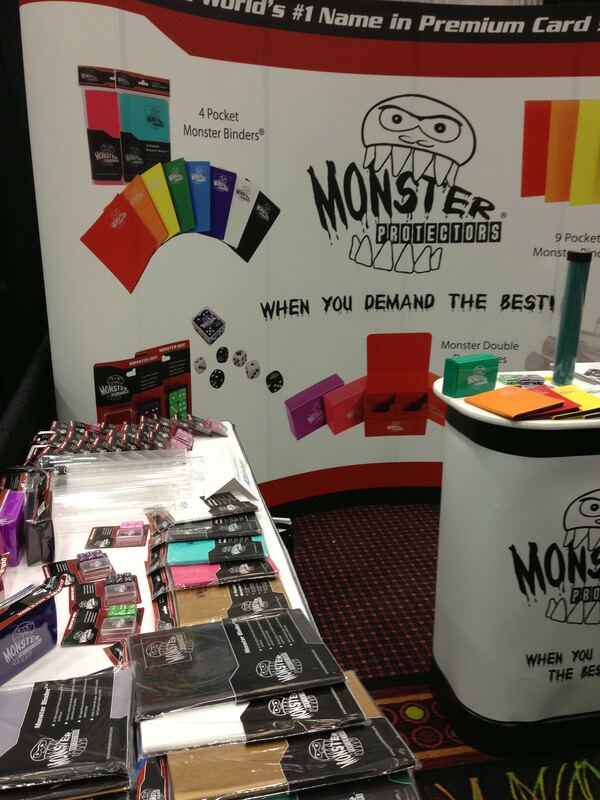 Monster Protectors has a nice line of card protector boxes and binders as well as some unusual map/playmat tubes. It is hard to see in the image, but the map tube has three corners, rather than being a true tube. 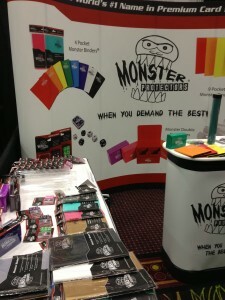 I did not grasp the importance until Monster’s rep pointed out that it will not roll off the table. Handy and reasonably priced at $4.95. 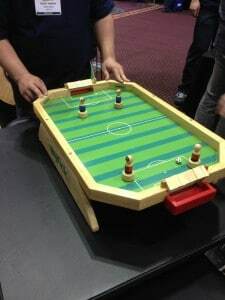 Long known for card protectors and accessories, Mayday is branching out into game production and this wooden soccer game caught my eye. 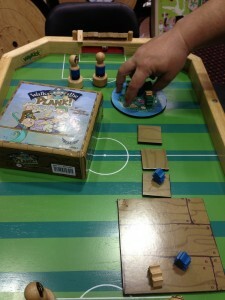 Players use magnetic pucks under the board to control the pieces. This fun skill game retails for $140.00. Players battle it out to send opposing meeples off the plank and into the jaws of the kraken. Last player standing wins. Did not get a chance to play this game, but it had a fun theme and had quick mechanics. 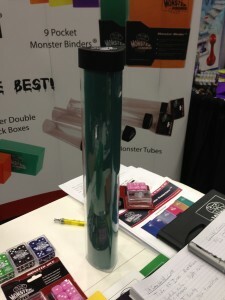 Little Big Games produced family/children games in interesting packaging. Cans! Four were on display, but the one in the picture is Dino Daze. It is a memory matching game for kids. I liked the production values and MSRP of $11.95. 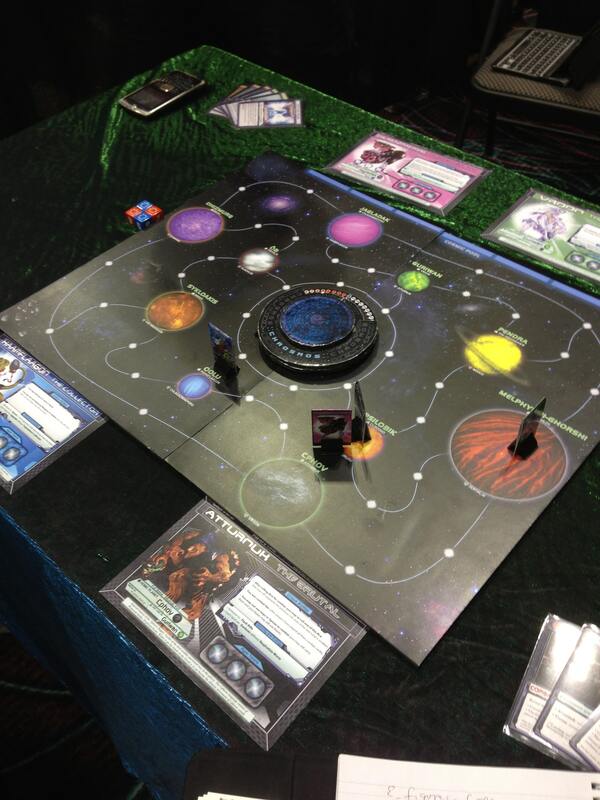 Mirror Box is a new company that had a prototype on display of a new board game called “Chaosmos.” The universe is ending and the remaining races are doing battle to control “the ovoid.” He who controls the ovoid will rule over the newly growing universe after the big bang. Players traverse the board gathering cards for weapons and defenses on various planets. Then use the cards to defeat other players. The developers were uncertain if Chaosmos would go into traditional distribution or become a kickstarter project. Is the Swiss Army Knife Killing MacGyver? October 2, 2011 trask Comments Off on Is the Swiss Army Knife Killing MacGyver? September 2, 2009 trask Comments Off on Presenting the Livingdice Helix! 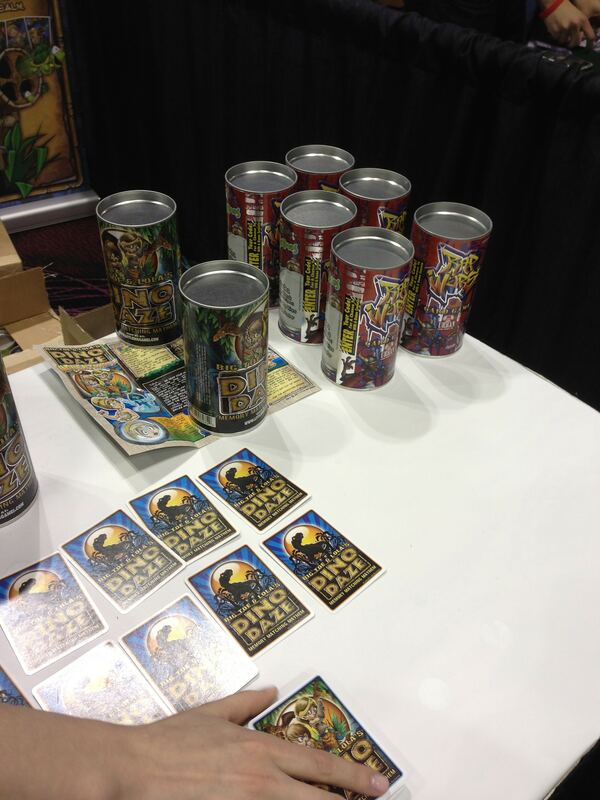 Livingdice’s Aces & Eights: Last Man Standing Shootout at Gen Con 2010–We Have a Winner!